The Hybrid Flipper is an exceptional knife from Jason Clark. 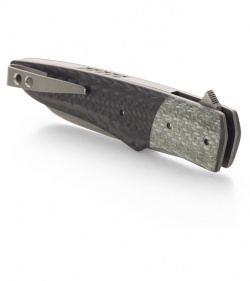 It features silver twill bolsters and carbon fiber scales over titanium liners. The backspacer is stainless steel with filework and tumble finished to match the liners. 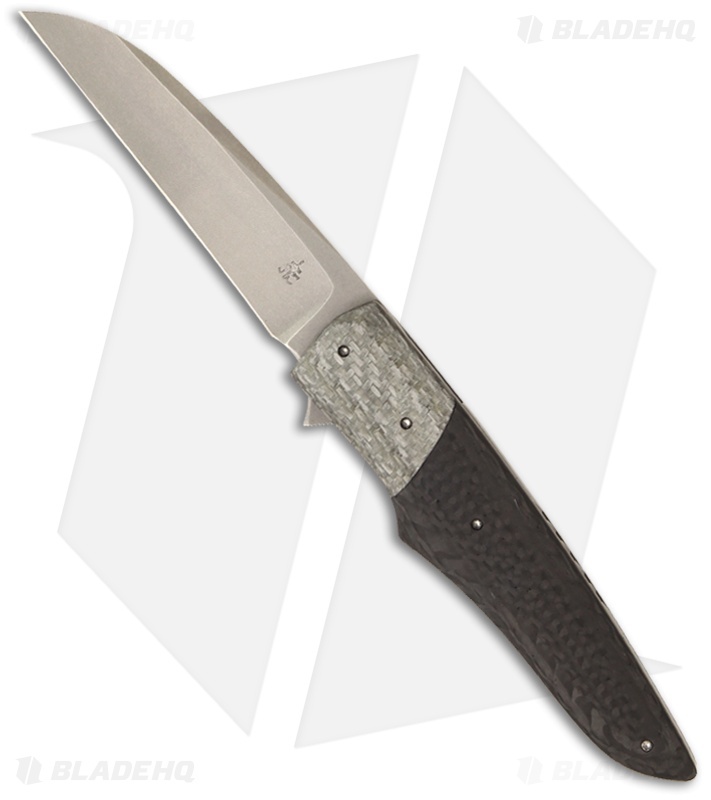 The Wharncliffe style blade is stonewashed CPM-154 steel and glides open with ease thanks to the IKBS bearing system. This Jason Clark folder is an excellent choice for everyday carry and comes with a tip-up carry titanium pocket clip.